A trained puppeteer has his audience amused and entertained with the antics of his puppets. 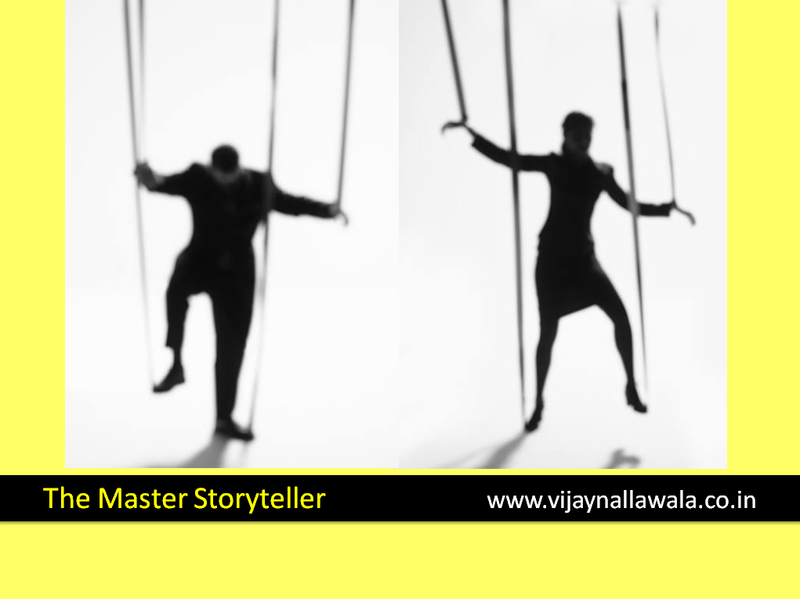 The masterly storyteller, however, brings his puppets to life so that they spring out of the show and merge into the lives of the audience. The story outlives the show and the spectator carries it with her. If memorably told, it might never be forgotten. What about the Ultimate, Supreme Storyteller then? The most dramatic, mystical and grandest of them all. The Universe is the stage, billions of us humans play their roles, supported by trillions from from other species. The props are dynamic, the story unfolds each moment..
A few characters might quit the stage, new step in, enhancing the drama..
Its a never ending, spellbinding story. The greatest story ever told is being played out at the nearest Universe near you. Are you enjoying your role in it?